Bubble Battle Archives - Joe.My.God. 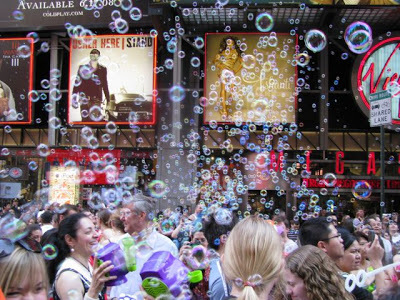 Not to be outdone by the Union Square Pillow Fight, yesterday thousands of people crowded Times Square for the Bubble Battle. More pics and videos over at Gothamist and on Flickr. The pillow fight seems more fun, but at least there’s no cleanup from millions of bubbles.